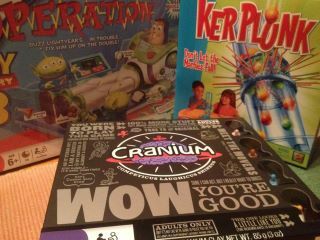 Day 6 of the Photo A Day Challenge: "Something That Makes Me Smile"
Games night with the family. You can't help but scream with laughter when you pull the wrong stick in KerPlunk and all the blooming marbles crash to the bottom. What's your favourite board or card game for family fun? Wrenching your back playing Twister? We like Mastermind, Cluedo, Game of Life, Crazy 8s, Sorry! and even CashFlow (hilarious hearing the kids talk about liabilities, passive income and the rate race - which we have yet to escape). Ahhh, the games people play!